In honor of my trip to Spain, Portugal, and Morocco this month, I've decided to something a little bit different this week, and instead of reviewing a specific wine, I'm going to go through an introduction to Spanish wine. I was originally supposed to be posting this from Barcelona, and it was going to be a fun post about Spanish wine while I'm in Spain, but yesterday my flight got delayed multiple times and eventually cancelled, so now I'm flying out to Barcelona today. 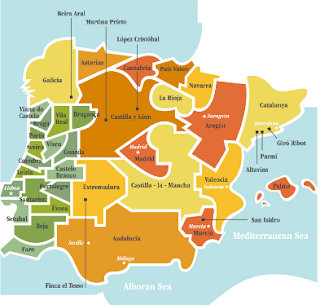 The most common Spanish wine varietals and Tempranillo and Garnacha for red wine, and Albarino for white wine. There are other grapes grown in Spain, such as Syrah and Merlot, but they aren't as uniquely Spanish. 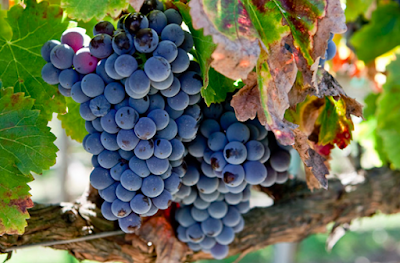 Tempranillo is a red grape, mostly grown in the Rioja region. 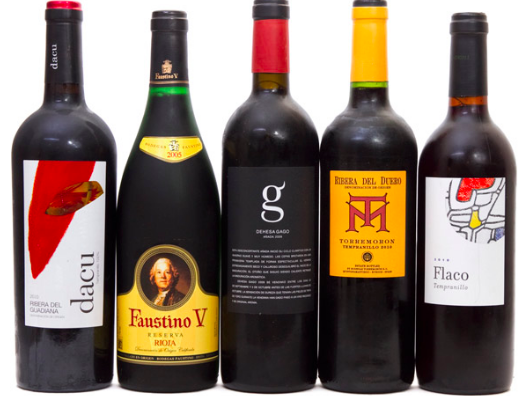 It's grown in small quantities elsewhere in Spain, but so much of it is grown in Rioja that the region and the varietal can sometimes seem synonymous. The name Tempranillo comes from the Spanish word for early, because the grape ripens earlier in the season than other Spanish wine grapes. It's an incredibly old grape, it's thought that it was brought to Spain by the Phoenicians over 3,000 years ago. It has stuck around so long because it grows so well in Spain and makes delicious wine. Tempranillo is a relatively bold red wine. Tempranillo is generally juicy, with strong notes of dark berry, cherry, and figs, with a bit of a spicy finish of tobacco, pink peppercorn, and cedar. It ages well, and the flavor profile drastically changes with age. Young Tempranillo can have much brighter fruit notes, while older Tempranillo gets very oaky and leathery. It pairs well with cured meats and hearty pasta dishes. Garnacha, also known as Grenache in other regions, is also heavily grown in France, but it's one of Spain's most common red varietals. Garnacha is generally grown in Northern Spain. Since it's a bit colder there than in Rioja, Garnacha ripens later in the season than Tempranillo. The grapes generally have a higher sugar content, which leads to a higher %ABV, Spanish Garnacha can get to above %15 alcohol. It has brighter fruit notes than Tempranillo, with some citrusy grapefruit notes in addition to more typical berry and cherry notes. It's also relatively spicy and fuller bodied, partially due to the high alcohol content. Garnacha is frequently blended with other grapes, like Syrah, so it's harder to find a pure Garnacha than it is to find a pure Tempranillo. It pairs well with roasted meats and vegetables. 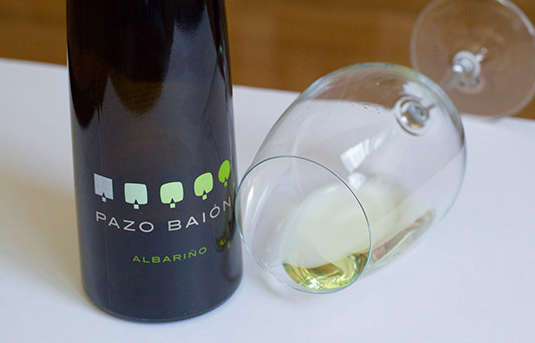 Albarino is a really interesting white wine. If you like Sauvignon Blanc, I encourage you to try a glass of Albarino the next time you see it on a menu. It grows in the Rias Baixas region of Spain. This is a cooler region that's closer to the Atlantic Ocean, so the saltwater of the ocean gives the grapes strong minerality. It's a highly aromatic wine, with strong citrus, bright herb and floral notes. It's a more acidic and fresh white wine. The minerality and the brightness makes it great to pair with fresh seafood, and also some asian food, such as Pad Thai.